Процесс создания учебного контента требует не только сбора и представления информации. Для того чтобы приобрести знания, учебный контент должен быть разработан таким образом, чтобы соответствовать заранее определенным целям обучения. Цели обучения определяют весь процесс обучения. Таксономия Блума описывает когнитивный процесс с шестью иерархическими уровнями, каждый из которых содержит определенную цель обучения. Он может быть адаптирован к модели, посредством которой преподаватели подготавливают учебные материалы. Однако когда дело доходит до продуктивности обучения, важно учитывать персонализацию представленного контента в соответствии со стилем обучения человека. В этой статье анализируется взаимосвязь между таксономией Блума и циклом обучения Хони и Мамфорда, что позволяет связать структуру учебного материала с личными предпочтениями учащихся. Этот новый способ создания учебных материалов интегрирован в модель, которая используется для автоматической генерации персонализированных учебных материалов. Эффективность модели дополнительно подтверждается экспериментом с реальными участниками. Результаты эксперимента показывают многообещающий потенциал расширения возможностей учащегося. Однако, при эксперименте и других работах над моделью, возникают некоторые проблемы относительно применения модели и последующей работы. 1. Lee Y.J. et al. East-Asian Primary Science Curricula: An Overview Using Revised Bloom's Taxonomy // Springer. 2016. 81 p.
2. Arapi P. Supporting Personalized Learning Experiences on top of Multimedia Digital Libraries // Ph.D. Thesis. 2017. 277 p.
3. Balatsoukas P., Moris A., O’Brien A. Learning objects update: Review and critical approach to content aggregation // Journal of Educational Technology & Society. 2008. vol. 11. no. 2. pp. 119–130. 4. Morton D., Colbert‐Getz J. Measuring the impact of the flipped anatomy classroom: The importance of categorizing an assessment by Bloom's taxonomy // Anatomical sciences education. 2017. vol. 10. no. 2. pp. 170–175. 5. Boyle T., Cook J. Learning objects, pedagogy and reuse // Learning technology in transition. From individual enthusiasm to institutional implementation. 2003. pp. 31–44. 6. Knight C., Gašević D., Richards G. Ontologies to integrate learning design and learning content // Journal on Interactive Media in Education. 2005. vol. 2005. pp. 1–24. 7. Coffield F., Moseley D., Hall E., Ecclestone K. Learning styles and pedagogy in post-16 learning: a systematic and critical review // Learning and Skills Research Centre 2004. 173 p.
8. Gallagher J. The Business Case Study: A Suitable Candidate For Blended Learning? // Journal of Business Case Studies. 2006. vol. 2. no. 4. 14 p.
9. Gregoric A. Learning/teaching styles: Potent forces behind them // Educational Leadership. 1979. pp. 36–40. 10. Hamari J., Koivisto L., Sarsa H. Does Gamification Work? – A Literature Review of Empirical Studies on Gamification // Proceedings of the 47th Hawaii International Conference on System Sciences (HICSS). 2014. pp. 3025–3034. 11. Hodgins W. The future of learning objects // The Instructional Use of Learning Objects Bloomington: IN: AECT. 2002. pp. 281–298. 12. An D., Carr M. Learning styles theory fails to explain learning and achievement: Recommendations for alternative approaches // Personality and Individual Differences. 2017. vol. 116. pp. 410–416. 13. Huotari K., Hamari J. Defining gamification: a service marketing perspective // Proceedings of the 16th International Academic MindTrek Conference. 2012. pp. 17–22. 14. James W.B., Gardner D.L. Learning styles: Implications for distance learning // New directions for adult and continuing education. 1995. vol. 1995. no. 67. pp. 19–31. 15. Karagiannidis C., Sampson D. Adaptation rules relating learning styles research and learning objects meta-data // Workshop on Individual Differences in Adaptive Hypermedia. 3rd International Conference on Adaptive Hypermedia and Adaptive Web-based Systems (AH2004). 2004. pp. 66–73. 16. Kolb D.A. Experiential Learning: Experience as the Source of Learning and Development: 2nd ed. // Pearson FT Press. 2004. 416 p.
17. Lennox D. Managing Knowledge with Learning Objects // WBT Systems White Paper. 2001. 12 p.
18. Mason R., Rehak D. Keeping the learning in learning objects // Reusing online resources: a sustainable approach to e-learning. 2003. pp. 20–34. 19. McLeod S.A. Kolb's Learning Styles and Experiential Learning Cycle. 2017. 5 p. URL: https://www.simplypsychology.org/simplypsychology.org-Kolb-Learning-Styles.pdf (дата обращения: 06.07.2018.). 20. Metros S.E. Learning objects: A rose by any other name // Educause Review. 2005. vol. 40. no. 4. pp. 12–13. 21. Ram A., Leake D. Goal-Driven Learning // The MIT Press. 1995. 61 p.
22. Riding R., Rayner S. Cognitive styles and learning strategies: Understanding style differences in learning and behaviour // David Fulton Publishers. 1998. 217 p.
23. Robson K. et al. Is it all a game? Understanding the principles of gamification // Business Horizons. 2015. vol. 58. no. 4. pp. 411–420. 24. Verbert K., Duval E. Towards a Global Component Architecture for Learning Objects: A Comparative Analysis of Learning Object Content Models // EdMedia: World Conference on Educational Media and Technology. Association for the Advancement of Computing in Education (AACE). 2004. pp. 202–208. 25. Verbert K., Duval E. ALOCOM: a generic content model for learning objects // International Journal on Digital Libraries. 2008. vol. 9. no. 1. pp. 41–63. 26. Wagner E.D. Steps to creating a content strategy for your organization” // The e-Learning developers’ journal. 2002. 9 p.
27. Yoshinov R., Iliev O. “Controlled self-study” in thematic educational community environment. 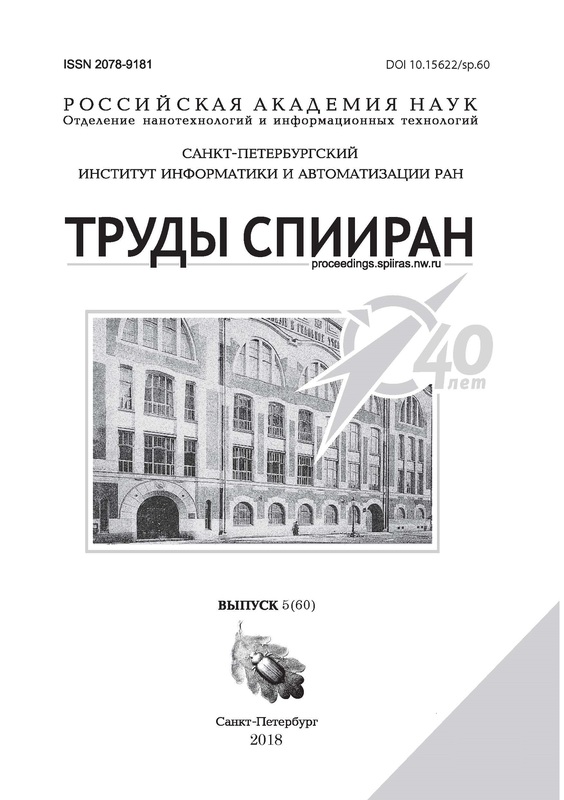 Proceedings of the Forty-seventh Spring Conference of the Union of Bulgarian Mathematicians. 2018. pp. 200–213. 28. Yoshinov R., Iliev O. Content reuse - a major problem with modern content storage systems // Eleventh National Conference with International Participation “Education and Research in the Information Society”. 2018. 29. Yoshinov R., Kotseva M, Pavlova D. Specifications for Centralized DataCenter serving the educational cloud for Bulgaria // International conference ETAI. 2015. pp. 1–6. 30. Yoshinov R., Kotseva M. The steps for elaboration of the “Rosetta stone” demonstrator. Proceedings of International Conference Inspiring Science Education. 2016. pp. 91–96. 31. Yoshinov R., Arapi P., Kotseva M., Christodoulakis S. Supporting Personalized Learning Experiences on top of Multimedia Digital Libraries // International journal of education and information technologies. 2016. vol. 10. pp. 152–158. 32. Yoshinov R., Pavlova D., Kouzov O. Reflection of ISE idea for linking school education and scientific research in the National Strategy for effective implementation of ICT in education and science in the Republic of Bulgaria // Proceedings of International Conference Inspiring Science Education. 2016. pp. 129–134. 33. Yoshinov R., Kotseva M. Vision for the Engagement of the e-Facilitator in School in the Inspiring Science Education Environment // Serdica Journal of Computing. 2015. vol. 9. no. 3-4. pp. 241–256. 34. Trifonov R., Yoshinov R., Jekov B., Pavlova G. Methodology for Assessment of Open Data // International Journal of Computers. 2017. vol. 2. pp. 28–37.